Savour the nutritional goodness and benefits of wheat germ. 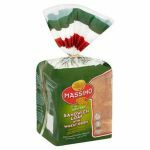 Baked to perfection the traditional way, with much passion and insistence on quality ingredients that Italian bakers are known for, the Massimo Sandwich Loaf with Wheat Germ is a firm favourite amongst Malaysians. Wheat germ is rich with vitamins and minerals that benefit the heart and enhance immunity. Wheat germ is a storehouse of minerals. 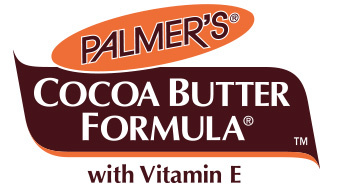 loaded with contents of Vitamins E, Omega-3 fatty acids, natural fibre, protein, B1, B2, B6, magnesium, phosphorus and zinc. Wheat Germ is indeed a food source with many health benefits. 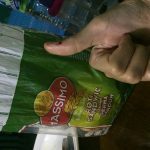 Massimo always be my first choice for my breakfast because it contain wholemeal and fiber and others health benefits. Even can take the wholemeal bread during diet period to keep your body shape. 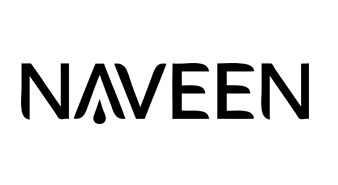 this brand launched when I was secondary student. can’t stop love it since my first try.. won’t have ‘hard and dry’ time..other bread will hard and dry after days then soft again… But this won’t! And taste very nice… I like to eat it alone without other thing.. It taste good when i first time eat this bread.It wont too dry to eat as a patient .The bread is soft and thick.The price also reasonable. Massimo bread is always people’s choice and had never let us down. Even though the bread has got wheat in it, but it does not taste too hard and it is always soft served. It benefits our health and at the same time tingles our taste buds. A big thanks to Massimo for being with us all the time. This is the best bread for those who are having healthy lifestyle. The wheat contain in this bread will gives you extra fibre in your diet. Its also provide vitamins that your body needs and also minerals. So far this bread contains lower level of high carbohydrates, cholestrol. Try it today for your health. It is so nice although I eat it in plain.It is very healthy to eat it as it contains of richful wheats.I buy a packet per week to bring to school as my breakfast. 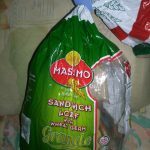 Roti sandwich dengan germa gandum Massimo adalah pilihan nombor 1 kami sekeluarga.Tekstur rotinya yang lembut dan enak sesuai dimakan begitu sahaja. 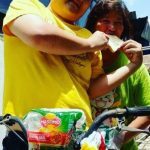 Roti yang berkhasiat sesuai dinikmati oleh semua ahli keluarga. 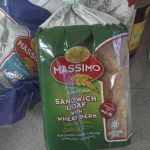 I use to love only white bread, but thanks to Massimo I love wheat bread too. 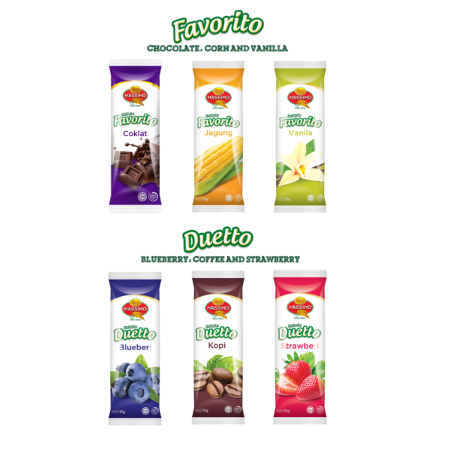 It’ taste soft, crunchy and yummy but also healthy at the same time. One of my important source for breakfast! I like this bread as its soft and crunchy in between the bread make me feeling eating healthy and feel full. My enjoyable moments at the morning is eating massimo wheat bread spread with peanut butter, it’s delicious and a good start for my day.. Healthy and affordable breakfast for any ages. This is my favorite bread since Massimo company launch this product. The bread taste is soft and nice. In addition, the new improvement of this bread recipe had been successful make be bread become tastier than before. I love Massimo bread. 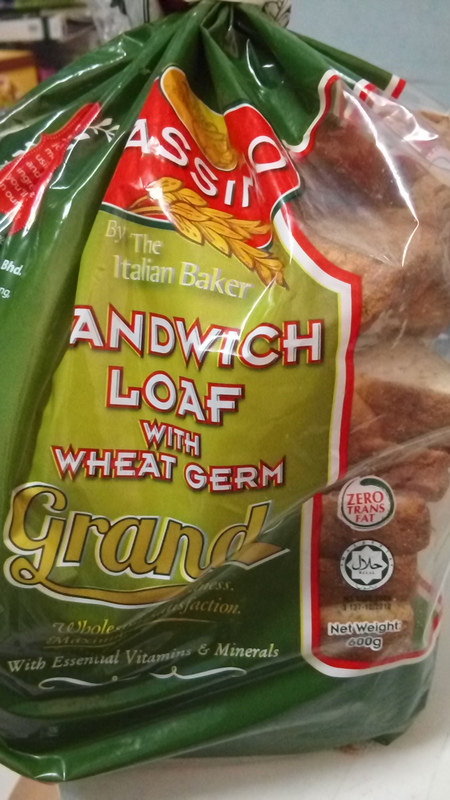 It’s healthy to consume wheat germs and Massimo bread contains what germs. Not only it taste great with jam or peanut butter, but it taste great on its own. It has light fragrance as you chew more. 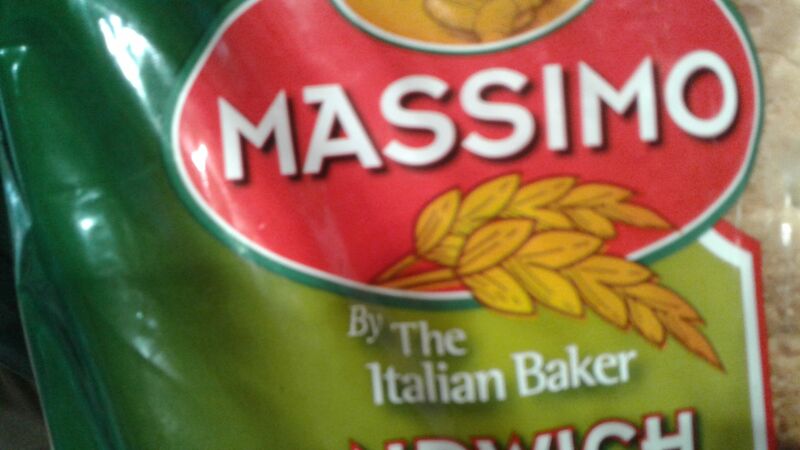 I eat Massimo bread everyday. This brand of bread is very softer and more aromatic. The sandwich loaf have natural goodness of wheat germ and cholesterol-free and trams-fat that is good for our health. Although it is just a simple toast but make me satifaction whole day. 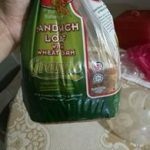 Roti yang digemari ramai dan menjadi pilihan seisi keluarga dan masa bila-bila masa sahaja… Rotinya sangat lembut dan gebu dan serat yang terdapat dalam roti ini sangat baik. Enak di makan begitu sahaja jgk. My preference everytime I buy bread. It’s tasty and perfect for sandwiches or French toast. My home usually has this for every single day. its calories are low enough. the taste of the bread is not that artificial. we like it because its healthy. 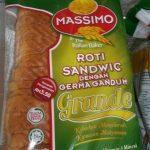 My family switched from Gardenia to Massimo bread for various reasons, mainly because of health reasons, great variety too for wholemeal or plain white bread. 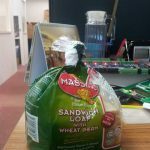 It might help to stock up earlier at local marts and supermarkets as sometimes I cannot get a loaf by noon. I am on a diet. Avoiding sugar, oily & fatty acid food is sometime a challenge to an adult woman like me. But with Massimo Bread I can easily get myself healthy. The richness of wheat in the bread supply energy for almost my one whole day. You still find the sweetness & salty which is controlled within a certain amount. I normally toast or eat the bread in fresh. Eating the bread with butter, jam or kaya is a bonus. They enlighten our taste buds. Buy & get in now ladies! 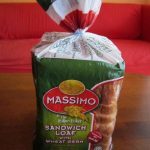 MASSIMO – Sandwich Loaf with Wheat Germ.. My parent daily “365 days” breakfast choose, they won’t eat bread if there are not MASSIMO. Eat with butter, fruits jam or just plain also the best and yummy ? At first, I prefer white bread. 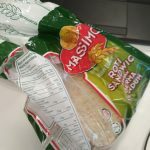 However, I changed to Massimo bread after knowing it benefit to my health. This bread is more large and smooth compare to other brand. 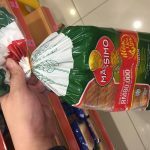 Pada mulanya, saya suka makan roti putih, tetapi sejak menyedari kebaikan roti gandum berbanding roti putih, saya telah beralih ke roti Massimo yang mengandungi gandum seperti ini. 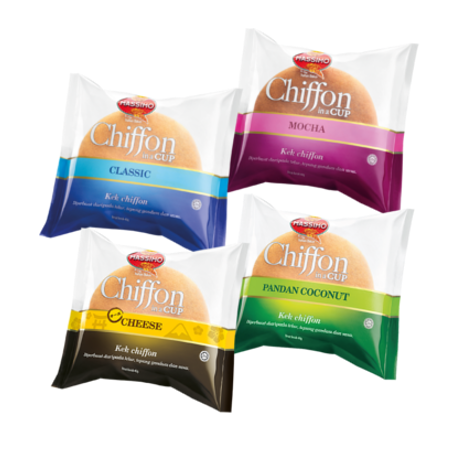 Ketebalan roti yang lebih besar dan terdapat dalam bungkusan yang panjang telah menjadi faktor mengapa roti germa gandum ini menjadi pilihan saya. 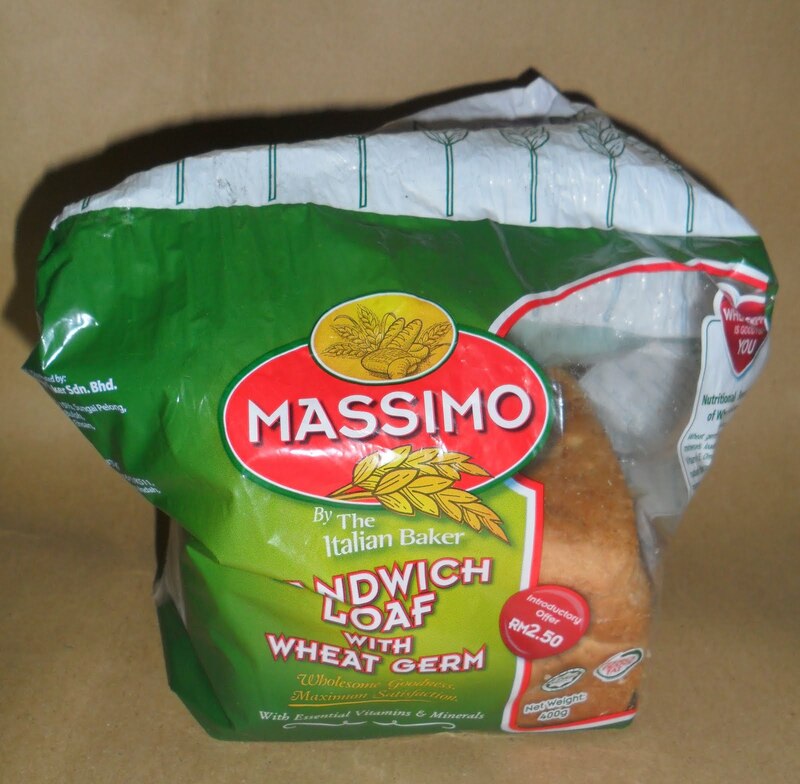 Massimo bread has always been me and my family’s favourite choice of breakfast. This bread is very easy to eat and soft. 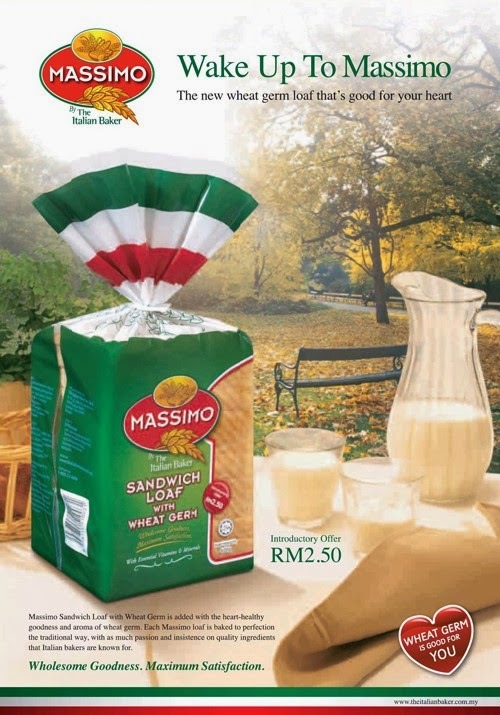 Other than that, massimo bread is healthier compared to other brands because it can’t stand fresh longer than other brands, it is so natural, so I always go for massimo bread. 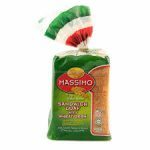 Massimo bread is my family all time favourite. Normally we had it together with peanut butter and margarine during our morning breakfast. Sometimes we ate it as original as it is. It taste super good and delicious. My family love it. Please keep up the good production and maintain the bread quality. Thanks Massimo. 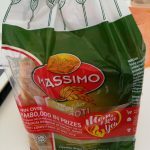 I start my healthy life with Massimo Bread. The bread was soft and taste good. I will enjoy it with some milk or cereal and my day full of power. I love to have bread since small due to my mum prepare breakfast of bread for me whenever go to school, until i entered university i still look for bread, at first i have gardenier, but after i tried massimo, i preferred massimo as it taste more nice, wheat taste is nice as not dry as gardenier. And massimo is lesser preservative. Every weekend Massimo Bread is our choice for breakfast. Either with Tuna, egg, jam or without apply anything also nice to eat. I like Massimo so much. Normally will eat Massimo bread as breakfast. 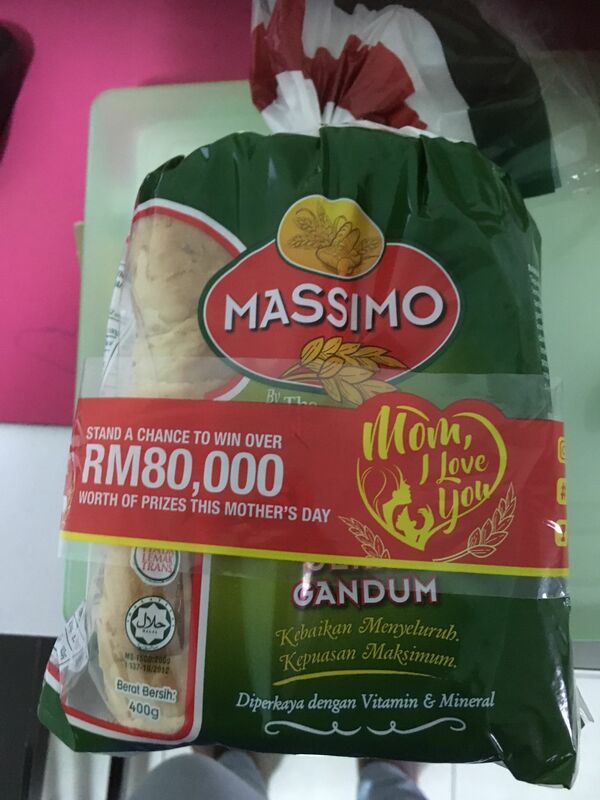 I always buy massimo bread as my breakfast, it already accompany me and my family a few year dy. 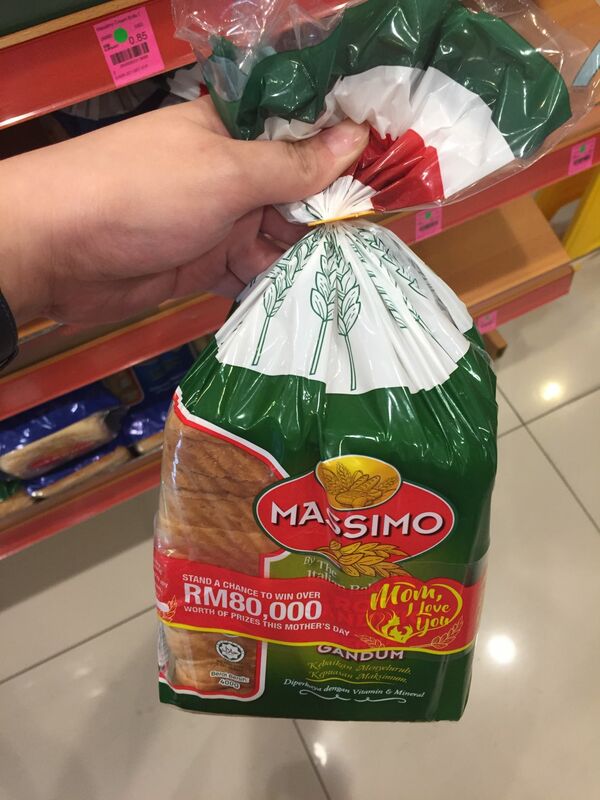 I’m a loyal customer to massimo bread. The bread is smooth and tasteful. If can go with kind of filling or eat it at plent. Massimo bread with wheat germ is good to eat. It is soft, delicious and rich of nutrient. 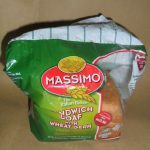 I use to eat Massimo bread as my daily breakfast. It is delicious to eat with jam, margarine or even just eat like that without applying any thing on it. Em… i like it very much. 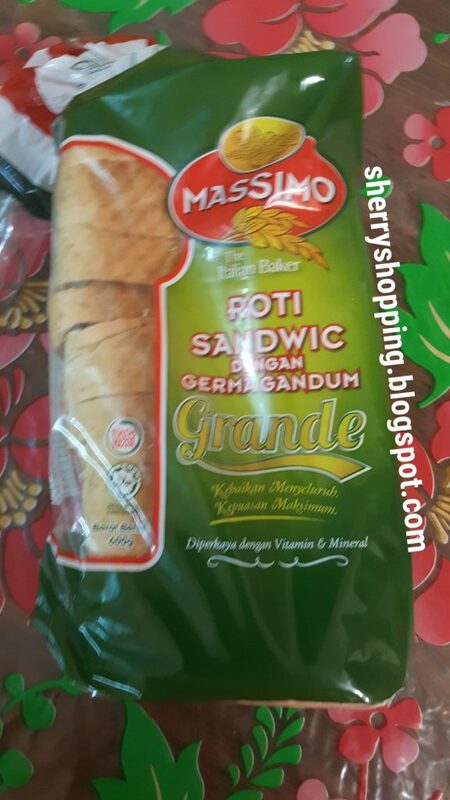 Roti Massimo ni memang the best.. Lembut je roti dia.. Suka sangat.. Budak2 suka juga.. Sapu dengan jem lagi terbaik.. Makan kosong macam tu saja pun cun dah..
Massimo Bread with Wheat Germ sangat sedap dimakan terutamanya bagi masa makan sarapan. 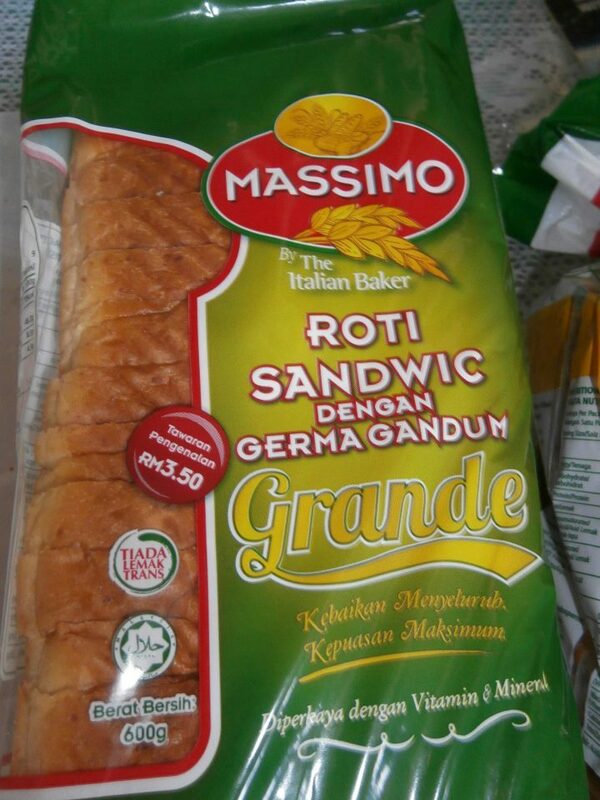 Massimo Bread with Wheat Germ lembut, wangi, banyak wheat, sangat sihat. 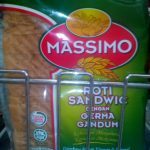 I prefer Massimo soft and nutrition bread is that it has wheat germ and bran in the bread. This gives extra fibre and nutrition wheb compared to white bread. It does not have the hard to eat taste of wholemeal bread. 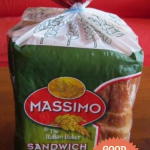 I will definitely recommend Massimo soft and nutrition bread. Massimo bread had been our (me & husband) favorite! It’s different from other brands, it’s fluffy and really tasty! Plus, it’s really healthy, makes our tummy full in the morning until afternoon! It’s so yummy when make it as sandwiches or splash it peanut butter! It is a must for me to have it as my breakfast, so energetic after having it. Daily routine: spread jam or margarine over the bread as my breakfast before going to work. It also pairs well with chocolate jam + banana slides as afternoon bites. Slightly toasted with avocado + honey would be delicious as well. 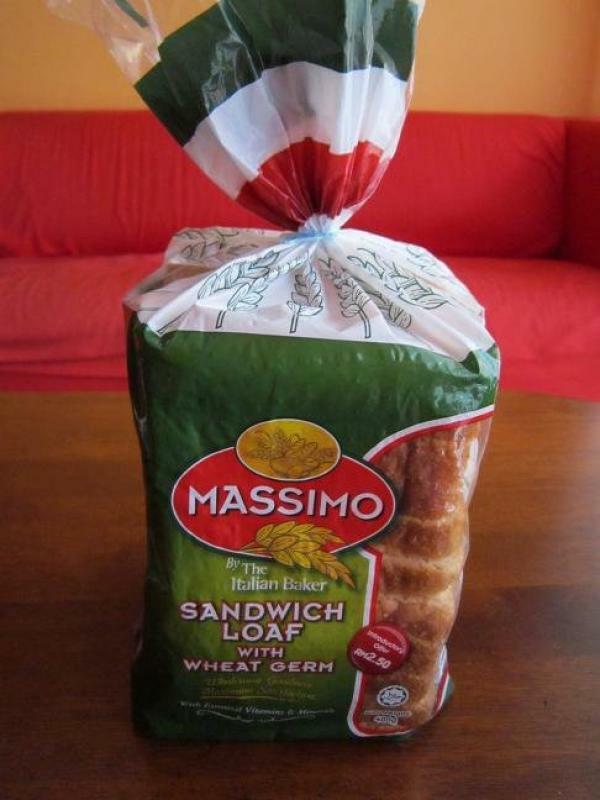 I start my day with Massimo Sandwich Loaf with Wheat germ. My family loves Massimo bread. It is nutritious and tasty, I can just eat it without applying any jam. 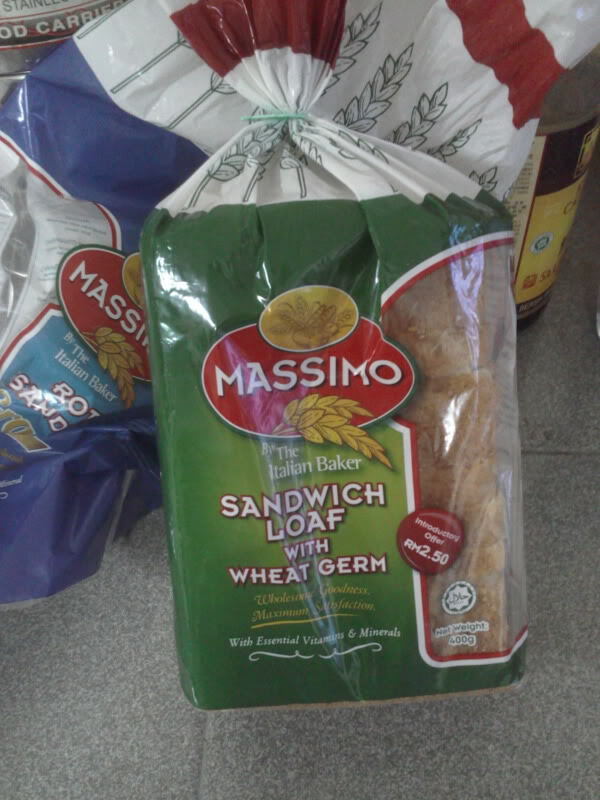 Massimo Loaf with Wheat Germ is the good choice for breakfast. The bread is soft and is a best choice to make sandwiches. It can include eggs, meat slices, butter and jam, and etc. I love the wheatmeal bread where i can eat straight without applying any jam. This is one of my favourite breakfast of the day. One of the fastest breakfast i can make which ready to eat or can make variety of sandwiches for my family. One way to start moving and choose more nutritious food compare from white bread which wheat germ bread has lower sugar and GI index. Nice to eat, good for health. Roti adalah makanan ruji saya selepas nasi. 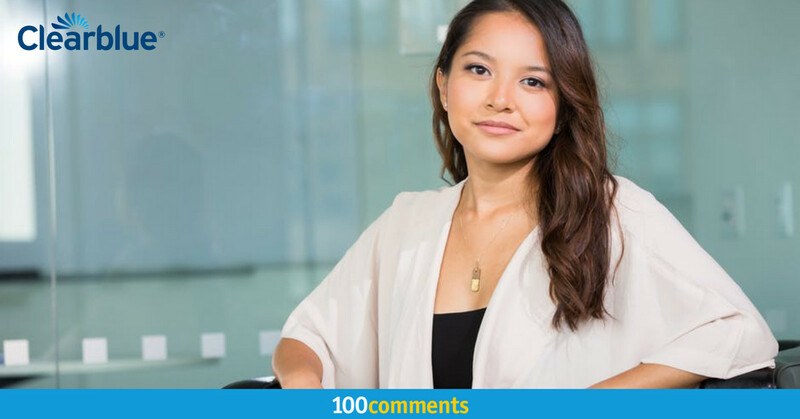 Namun begitu, keluarga saya ada yang mempunya eczema alah kepada kandungan gluten dalam roti putih biasa. Walaupun rasanya mungkin sedikit berbeza tetapi roti ini merupakan pilihan yang baik dan lazat untuk menggantikan roti putih! 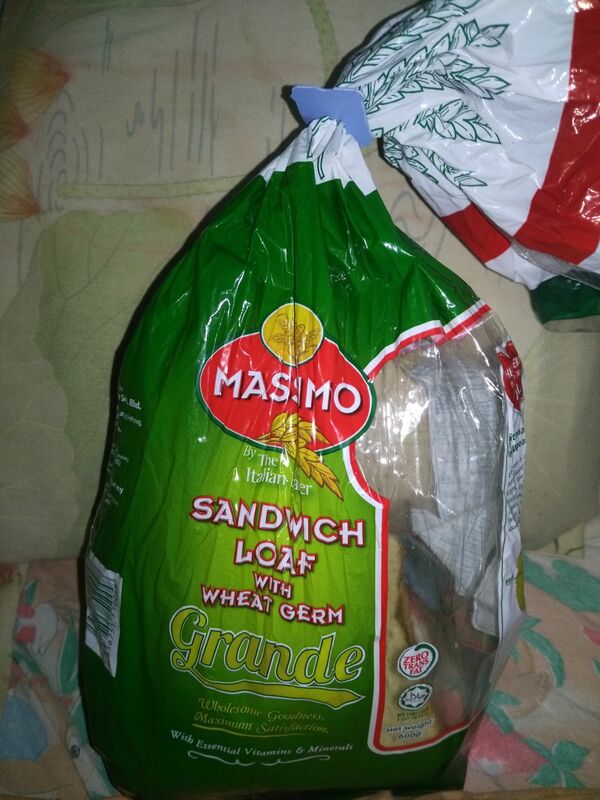 Massimo Loaf with Wheat Germ is the staple food for breakfast daily before going to work. The texture of the loaf is soft, making it easier to bite and digest. The healthier content allowed me to have four slices for each meal. The versatility to include jams, butter, meat slices, eggs and vegetables make it the best choice for meal no matter the time of the day. peneman setiap kali breakfast. lembut wangi dan mengenyangkan. harga yg berpatutan untuk sarapan pagi yang sihat. Massimo brand is my choice. It contain healthy ingredient and bread texture is very softness. I like it..Good choice. Massimo bread with wheat germ is the best go to substitute of rice in the family. It is soft and fuffy. It can be eaten as it is or with any spreads like butter or jams. This bread is also yummy when dipped with curries. 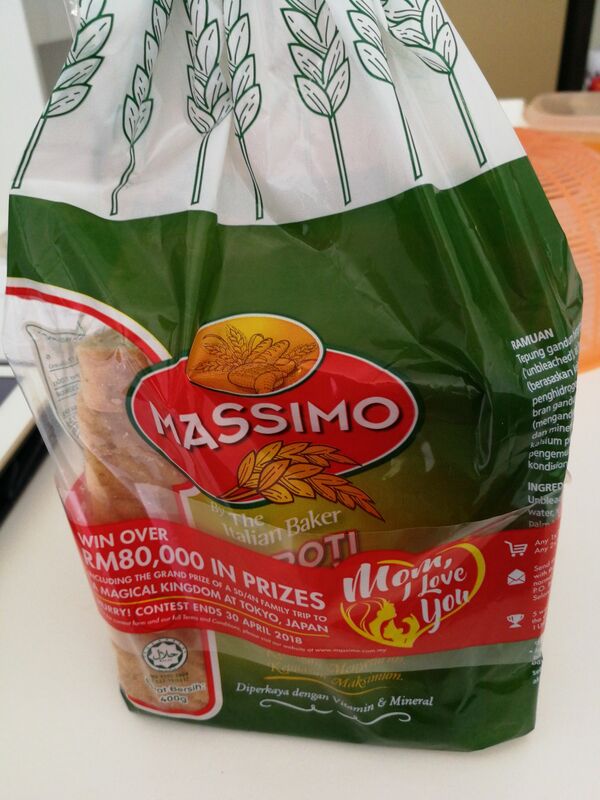 I have Massimo bread as my breakfirst in every morning that I will not miss in single day. 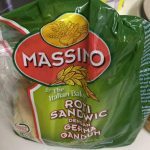 Massimo bread with wheat germ is my all time favorite! It tastes better and healthier than the plain bread . I always spread some jam on it and it is really delicious . 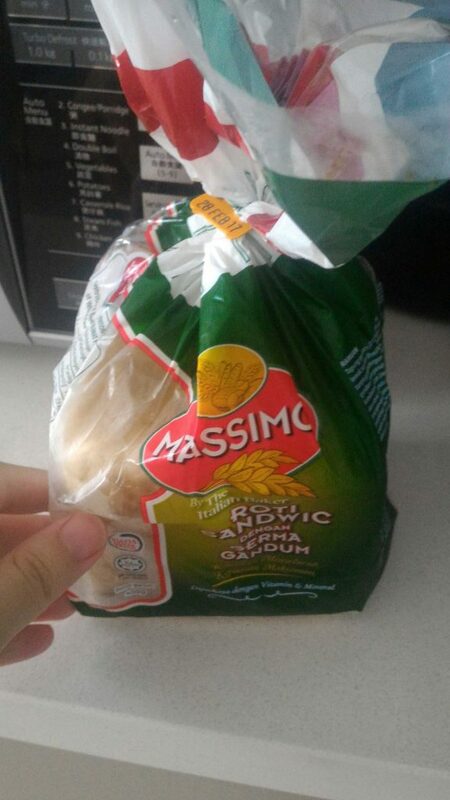 Massimo bread is my favourite bread. Even without spreading any jam, it is still tasting good. Good? 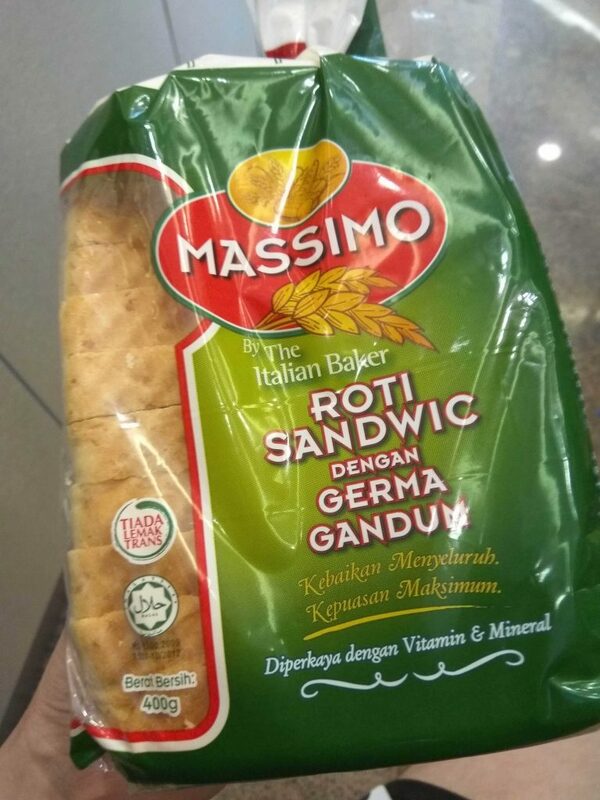 Roti massimo with wheat germ ni adalah pilihan utama sy ketika menuntut di universiti.. sangat sedap jika dibakar, kemudian disapu coklat atas nya dan dimakan ketika panas. Sangat mengenyangkan. 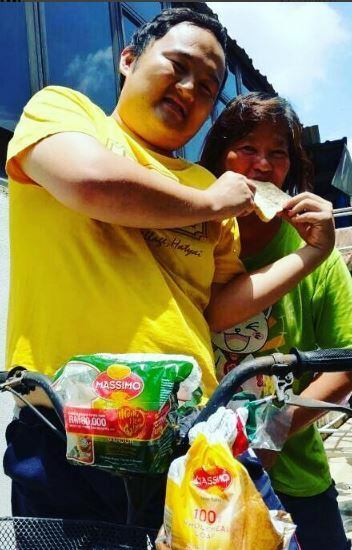 Roti yang tebal, dan penuh bijirin memberikan kepuasan kepada saya. Used to always buy gardenia bread but switched to this because it somehow taste better. Texture is softer and taste like it has less preservatives. 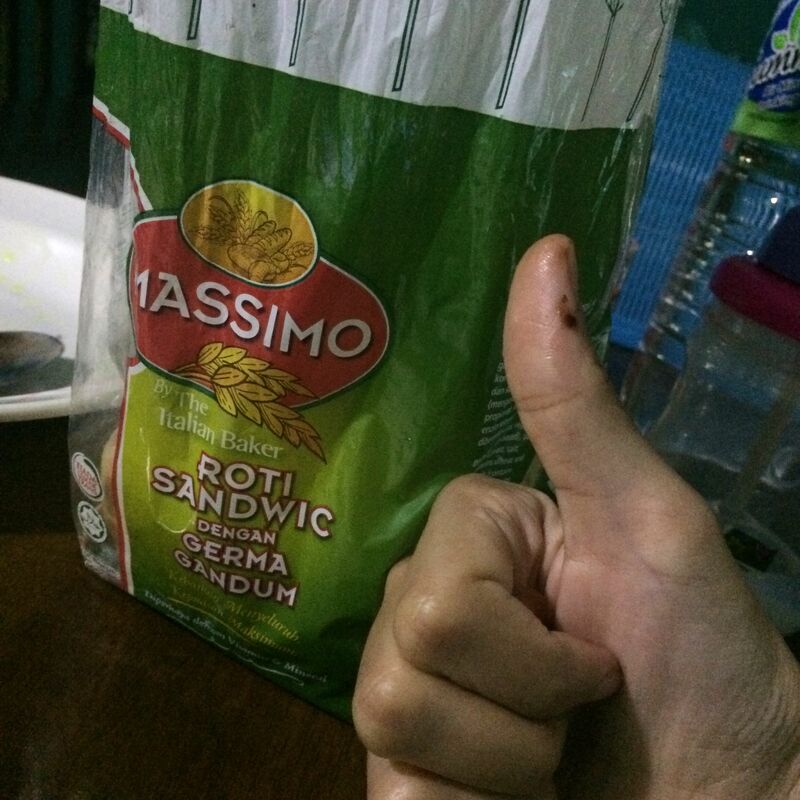 Massimo brand is my favorite brand, I love to having massimo bread with ayam brands tuna. 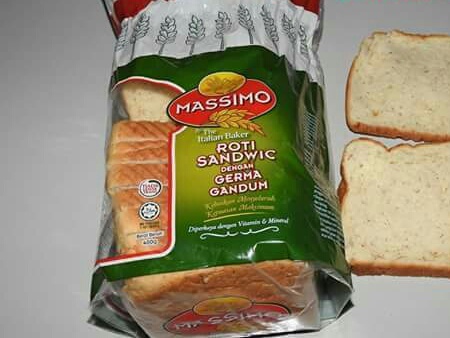 Saya suka Massimo Bread with Wheat Germ kerana roti yang lembut dan selera.Bau roti semerbak harum.Isteri saya gunakan dalam kepelbagaian sandwishnya.Rotinya sangat lembut dan gebu.Makan begitu sahaja pun dah sedap.Anak anak saya suka roti massimo.Kaya dengan pelbagai vitamin dan khasiat penting untuk badan.Harga berpatutan dan enak dinikmati bersama milo panas,teh panas di waktu petang.Sedap dan mengenyangkan.Mudah didapati di Petronas,Pasaraya,kedai runcit berdekatan. Nutritious soft bread. Can even eat it plain since the texture is soft and not too dry. 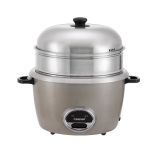 The price is also affordable compared to other brands in the market. 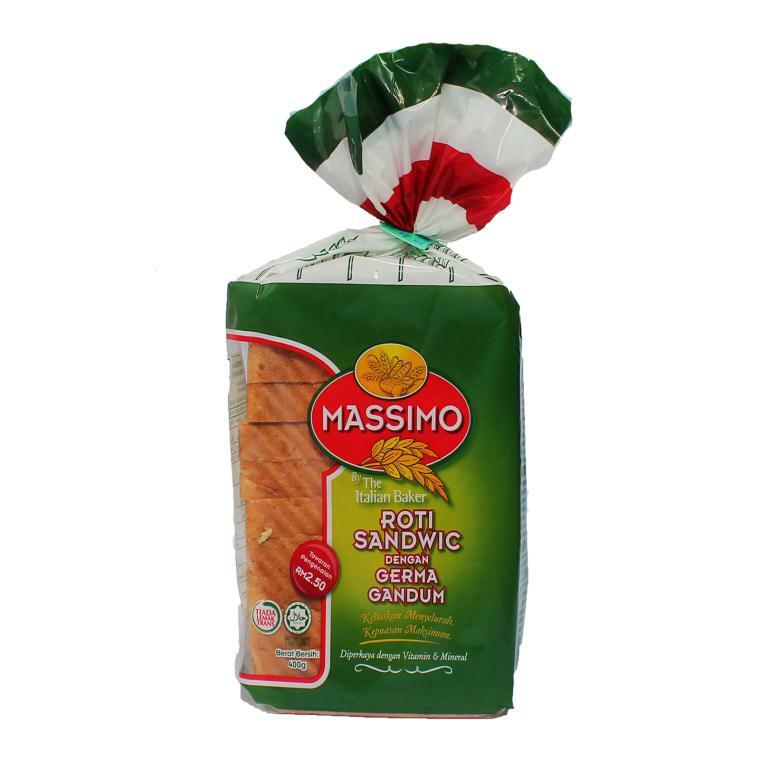 This is my favourite bread and will make my day.I toast it and add with a little peanut butter.Its Yummy..
Massimo bread with wheat gem is the best among all other white bread competitors. What more important is they offer great price for this super delicious bread. It is the softest bread after bengkali bread. I guess I’ve found the best bread. I eat daily by spreading the salted butter every morning for my breakfast. This can be my snack or main meal. Add with a little butter and jam, it will make my day. Or sometimes add with sardines and therefore sandwiches are made. I will also toast it and cheese inside and this is even yummier. My mum really love this bread as my family everyday breakfast. The bread is soft and I can eat many piece in one days. The price is also not expensive than other brand. Like to eat with blueberry jam. Massimo bread is my family’s breakfast choice.Because it bread very soft and cheaper.I like eat this flavor reason is good health.I like eat bread with Kaya and butter. Sebelum melakukan kerja saya akan menikmati roti masimo ini dengan penuh gandumnya membuatkan kesihatan saya terjaga. Saya akan rasa lebih bertenaga dan dapat melakukan aktiviti dengan penuh bertenaga. Terima kasih masimo. Massimo is my favorite whole meal bread. It is delicious and nice to eat with or without any spread. It is soft and easy to eat. 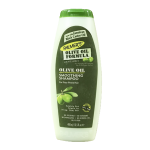 I can get it in my places like grocery shops, supermarket, speedmart, 7-Eleven, KK mart and other convenient stores as well. It is suitable bread for whole family regardless any age groups. This is my breakfast since 2018, as I want to keep my stomach full in the morning and this is affordable and easy to get in supermarket and hypermarket. Please keep the quality. 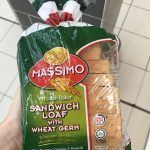 The wheat germ bread by Massimo is my go to when buying bread product. It is affordable and nutritious. However, the texture of the bread is quite unsatisfactory for me. It will be better if they can change texture to smoother bread. 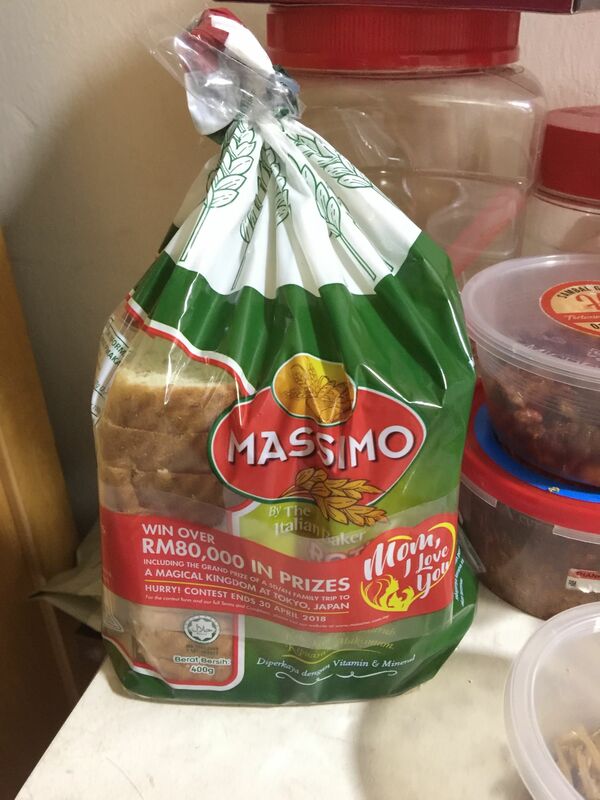 Mossimo is quite cheap bread for public compare to others brand, i feel safer to eat since the expiry date is quite short and will become harder after two days, unlike the other brand. What I feel lacking is the soft ess of the bread. The most favourite brand that i like. Consists healthy ingredient makes diet become more healthier way. The softbess are very good even it has been keep for fews day. 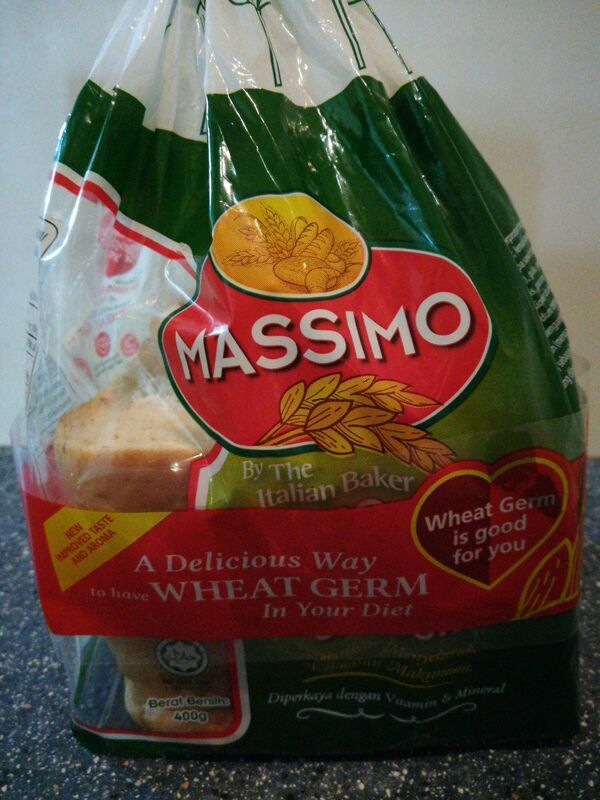 Of all bread brands, I will choose Massimo as my first choice. I noticed the bread can last for 4-5 days unlike other breads due to less preservatives compares to other. I normally purchase this bread on every 2-3 days for myself and my kids. 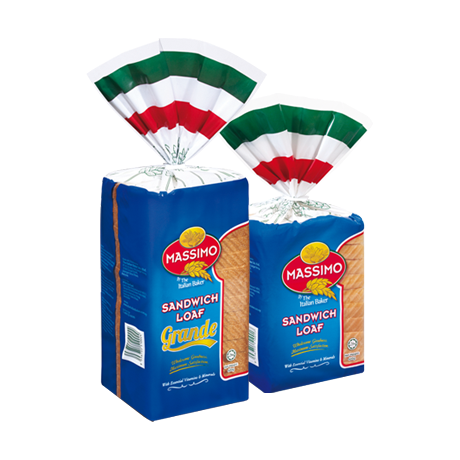 Massimo bread is my first choice to others, I like to eat Massimo bread with ice cream to put between the bread, it was very delicious. When went to outside sure will bring bread along to be eat when hungry. 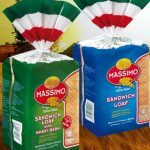 Massimo bread is the first choice for my family. 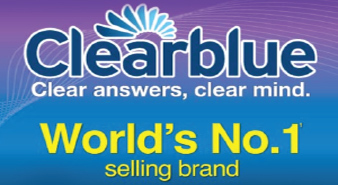 All of us like it very much compared to other brand. Bread is very soft and healthy. I likes to eat with peanut butter jam and dip in milo. This is one of the wheat bread that I love. The taste of wheat is that strong which person like me that not really like wheat, you might try this. It is nice and soft. The price is affordable too. Roti kegemaran saya..sangat sedap dan lembut..sedap dimakan begitu sahaja dan mengenyangkan. 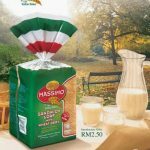 Massimo bread is the first choice ever bread to choose when i purchase from grocery shop. This is my breakfast for almost everyday eating together with a cup of milo. This is the best bread that I have ever tasted compare to other competitive brands. The taste is great and authentic. However, I would not eat the same type bread all the time as it bores me at some point. 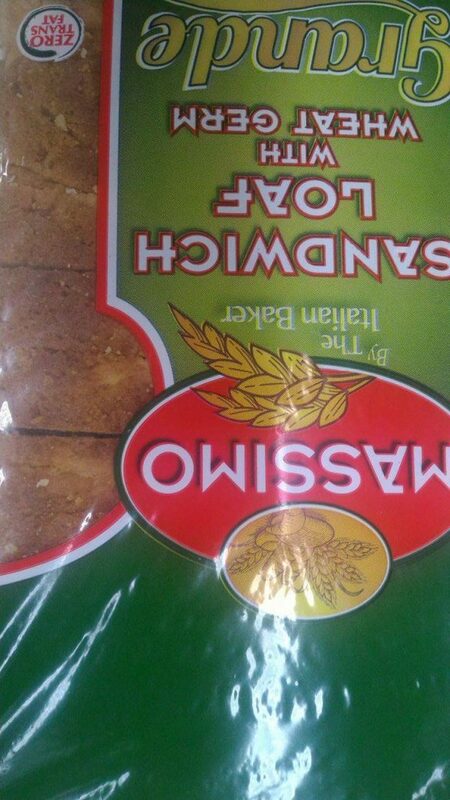 Massimo Bread is my breakfast everyday as I believe that it is healthy and nutritious. 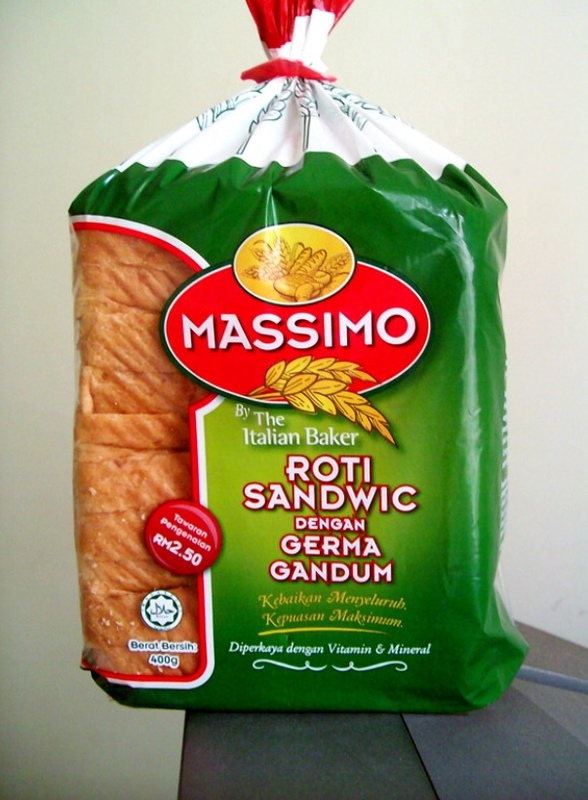 Compared to the Gardenia bread, Massimo’s is thicker and thus more suitable for sandwich-making. 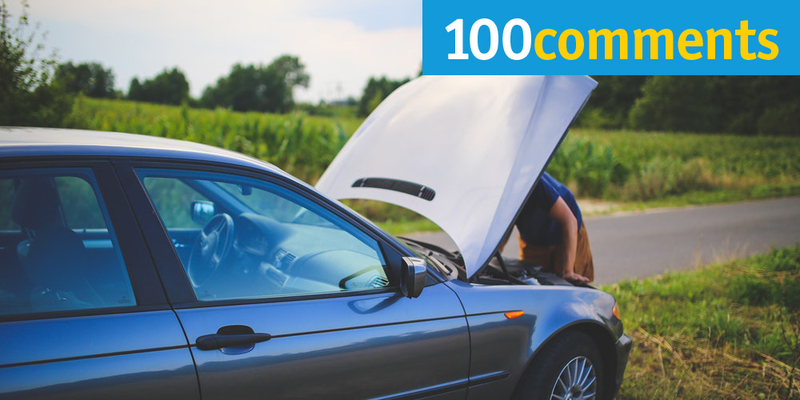 The price is considered reasonable and it is fixed nationwide, so the customer do not need to worry about the fluctuation of price among different outlets. can eat it anytime, like to eat with jam, butter, even with milo, or make french toast. 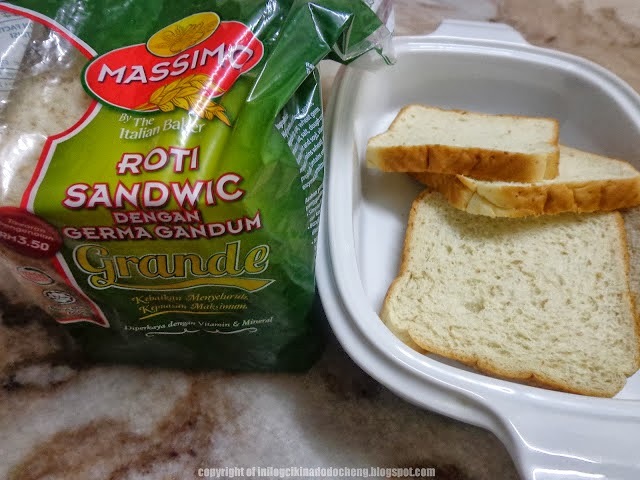 Tidak dinafikan massimo sandwich loaf with wheat germ ini merupakan roti terbaik dan menjadi kegemaran kami sekeluarga.Roti ini penuh dengan khasiat dan sangat sedap boleh dimakan dengan pelbagai hidangan.Roti ini sentiasa menjadi menu sarapan kami kerana ia kaya dengan vitamin dan mineral. Simply love this bread as it is soft and tasty. I have never like wheat germ or whole meal bread as often it is dry and hard to eat. But Massimo had made it soft and so tasty that even eating it on its own taste perfect. This has been and will always be my number one choice for breakfast and lunch. 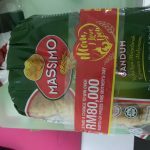 Roti massimo ni mmg sgt mngenyangkan,sesuai utk org yg dlm usaha utk menurunkan berat badan seperti sy.Tekstur rotinya pun sgt lembut,sedap dimakan begitu saja,disapu jem mahupun dicicah air.Untuk masakan pun sedap guna roti ni.Roti ni juga diperbuat drpd germa gandum yg mngandungi vit baik utk tubuh badan.Sangat berbaloi dibeli,harganya pun berpatutan. 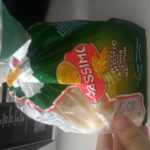 I find the massimo bread is soft and delicious compare with other brand. The most important it is also very healthy bread. The price also quite competitive. 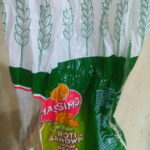 I hope massimo bread can come out more healthy and delicious bread for us. 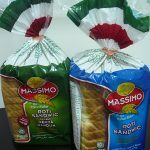 ROTI MASSIMO MERUPAKAN ROTI KEGEMARAN SAYA SEJAK DAHULU LAGI. RASA YANG LEMBUT DAN GEBU AMAT MENYELERAKAN TATKALA PERUT KOSONG DAN SEDAP DIMAKAN BEGITU SAHAJA. 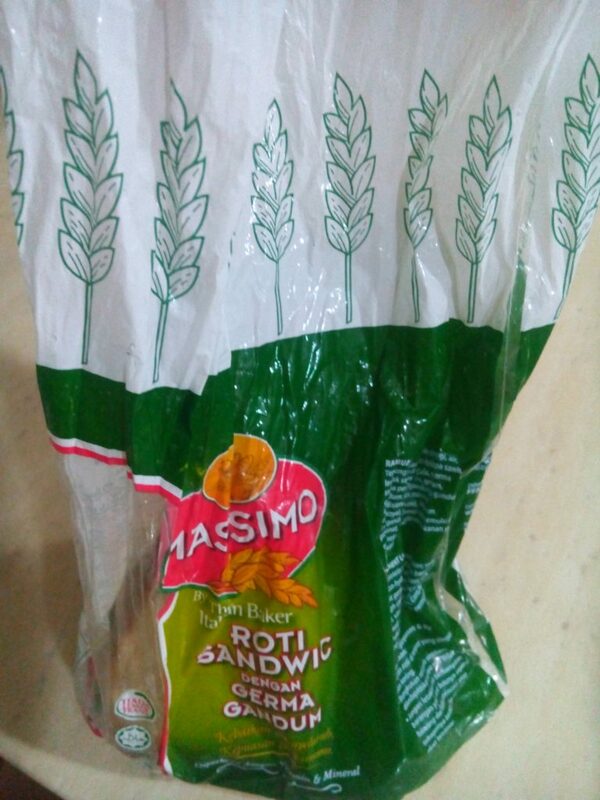 Roti massimo adalah salah satu roti kegemaran saya. Ianya sangat lembut dan juga rasa yang sangat sedap. Ianya juga sangat tebal dan sedap juga dimakan begitu saja. 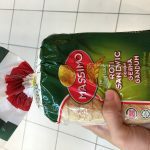 Roti yang terbaik yang menjadi pilihan saya kerana mengandungi germ gandum yang berkhasiat dan menyihatkan untuk seisi keluarga saya.Anak-anak juga menggemarikan roti massimo untuk menikmati sandwich.Roti Massimo juga memberikan pelbagai vitamin dan tenaga.Sesuai untuk saya yang sedang berdiet mampu mengenyangkan.Saya suka menggunakan roti Massimo sebagai sandwich ketika sarapan pagi atau pun ketika berkelah.Harga nya murah dan mudah didapati dikedai-kedai berhampiran saya.Pembungkusan yang berwarna hijau yang menarik.Roti Massimo pilihan saya. 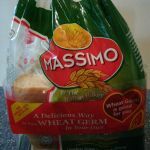 I love Massimo bread because it feel like more healthy with wheat, and the color is more natural if compare with Gardenia. Gardenia’s color is too white! My ideal sandwich breads always! 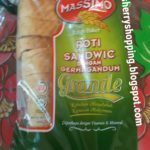 Saya memang berdiet dan roti massimo ni termasuk dalammenu diet saya kerana ianya penuh dengan serat dan mengenyangkan.Bila makan roti ini kurang berasa lapar.Untuk yang ada masalah gastrik macam saya pun saya syor ambil untuk sarapan. 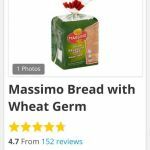 Massimo Bread with Wheat Germ is good for health. It contains of natural minerals such as iron and Vitamins E, Omega-3 fatty acids, natural fibre, protein etc. I feel full easily after eat 1 piece of this bread. Normally i will spread nutella or kaya on the bread as it is more tastier with it. Massimo bread is my favorite. Soft and the taste mix with jam or nutella is good and awesome. 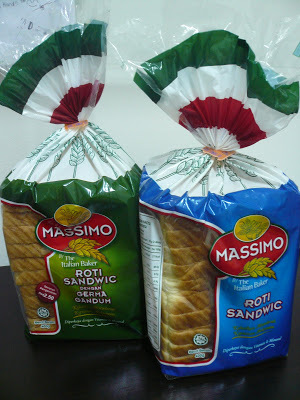 I love Massimo bread than other brand because Massimo bread is health for us and taste good. Saya mencuba beberapa tahun yang lepas.kami sekeluarga mengemari roti ini.sangat lembut.Mereka kurang sukakannya mungkin kerana bahannya yang tidak manis.Roti ni sangat berkhasiat,sesuai untuk mereka yang menjaga pemakanan seimbang.sesuai juga untuk orang sakit.Kalau cecah dengan air milo pasti terangkat..urmmm…SEDAP…. 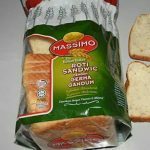 Roti gandum massimo sangat lembut dan berkhasiat..Ianya tinggi dengan serat serta karbohidrat dan sangat sesuai untuk mereka yang sakit dan pentingkan kesihatan..Enak dimakan begitu sahaja atau dijadikan sandwich..Walaupun dibiarkan lama, rotinya masih lembut dan gebu..Roti massimo sangat berkualiti tinggi! 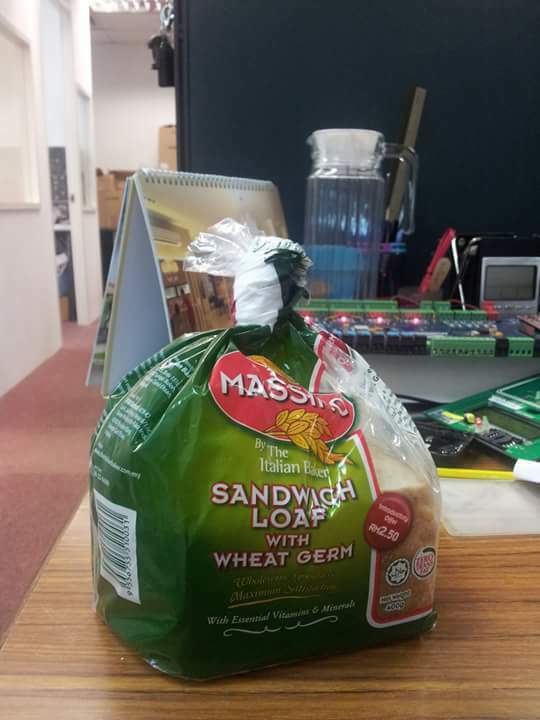 Roti yg sangat digemari keluarga saya.Rasanya sgt sedap dan lembut.Roti germa gandum penuh yg penuh khasiat.Saya selalu gunakan roti massimo white germ ni utk sandwich saya,tekstur rotinya yg lembut dan penuh dengan serat.Makan begitu saja pun sedap.Harga berpatutan utk dibeli,sangat syorkan.Roti yg sangat sedap & berkhasiat. 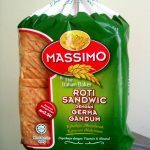 Roti Massimo dengan germa gandum amat digemari seisi keluarga saya yang inginkan pemakanan sihat dan mengawal pemakanan supaya lebih berkhasiat. 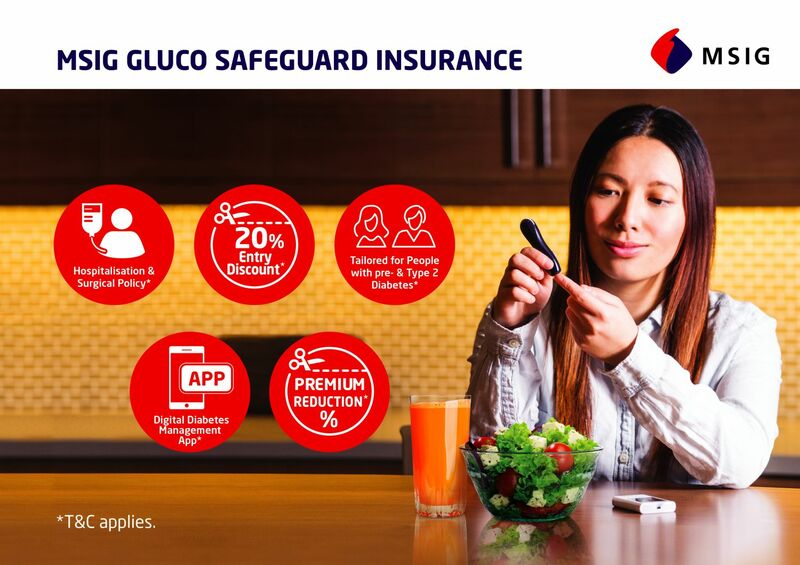 Rasanya yang lembut dan penuh nutrisi sesuai dalam mengawal berat badan. 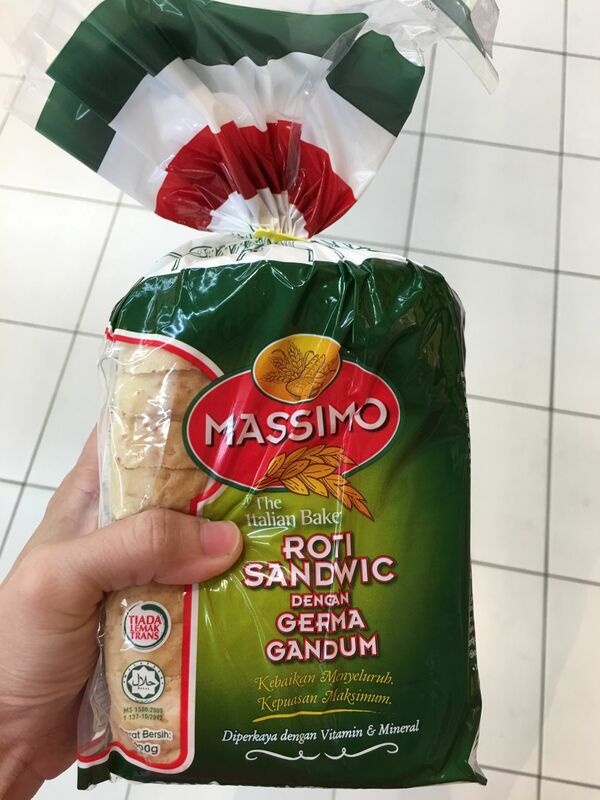 Saya suka betul dengan roti jenama massimo ni kerana lembut teksturnya. Ia juga rasa sangat sedap walaupun dimakan begitu saja. Memang jadi pilihan kami sekeluarga. 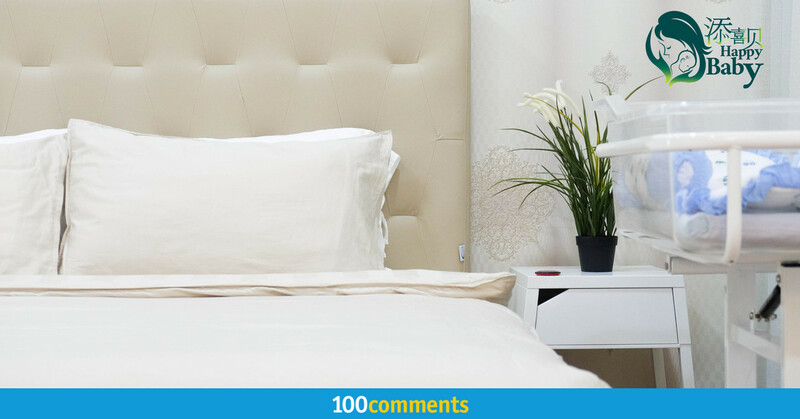 It is the best choice not only for family but also for student who are away from their home. I as a student would always think of some way to save money. Therefore I have save up my money on having a simple yet full meal rather than having meal on a well decorated and good ambiance cafe. 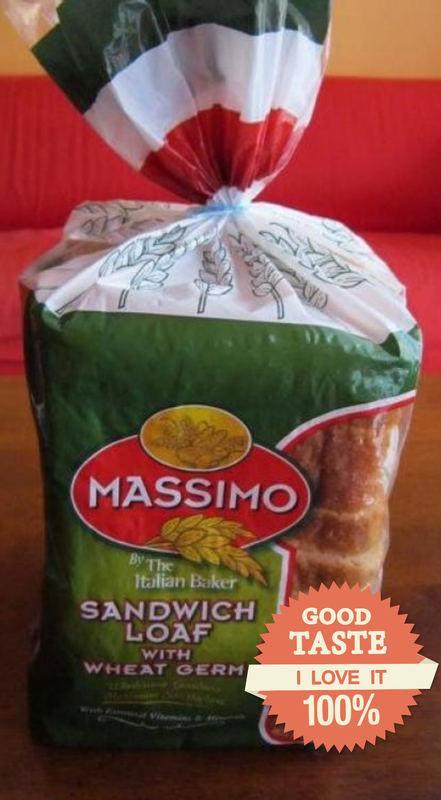 Massimo Bread is always the good choice for me and my friends. We can eat it with having a cup of milo or spread peanut butter on it. 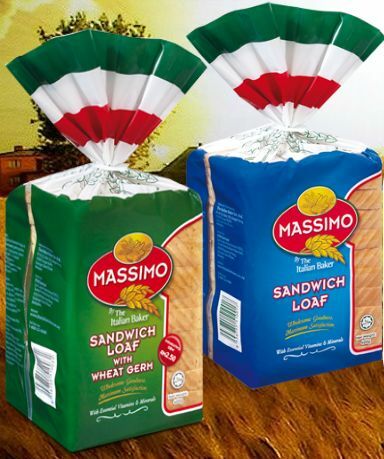 a bread with all nutrition, i love Massimo the most. I used to make sandwich as my breakfast just add some tuna and mayonnaise it will be very delicious! The white germ bread really suits my taste when I start my diet. It does not make me feel hungry as if I am eating a rice. I love the texture and wheat germ. it’s simply delicious with any jam/ chocolate spread. Saya sgt suka sarapan dgn roti germa gandum massimo..selain mengenyangkan rasa kenyang juga tahan lebih lama krn diperbuat 100% dr gndum.Ia juga kaya dgn pelbagai vitamin & mineral yg diperlukn tubuh bdn.Paling pntg roti ni sngt tahan lama wlaupon telah tamat tempoh..
Roti massimo bagi saya sangat lembut dan sedap. 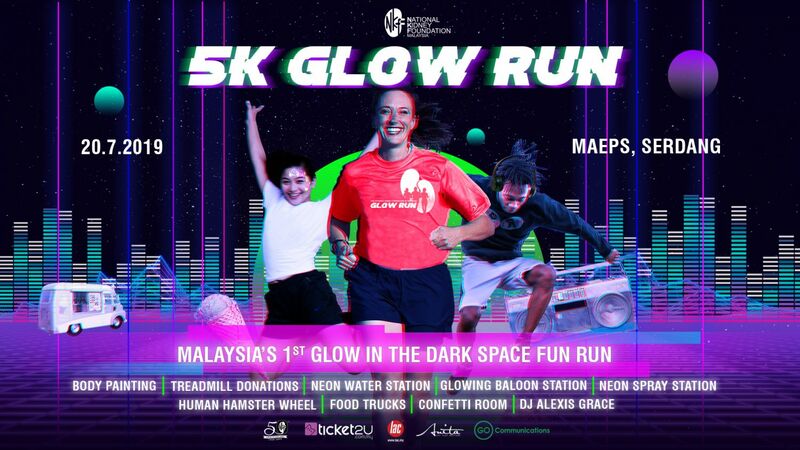 Tak keras walaupun sudah beberapa hari. Boleh dimakan bersama jem,planta,sambal ikan bilis dan sebagainya. Sesuai dimakan pada bila-bila masa. Wheat germ is a storehouse of minerals, loaded with contents of Vitamin E, Omega-3 fatty acids, natural fibre, protein, B1, B2, B6, magnesium, phosphorus and zinc. Wheat germ is indeed a food source with many health benefits. Is an daily food for young to old. We just need it regardless when u are hungry or not. Right? this is almost is my daily breakfast , i like this because Contains healthy ingredients that use in the bread. 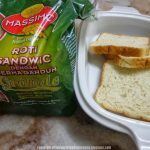 roti massimo sangat sedap dan mengenyangkan.Anak-anak dan satu keluarga sangat sukakannya.wajib ada di dalam rumah untuk sarapan yg berkhasiat,mudah dan mengenyangkan. Daily breakfast selection with perfection! Healthy body and delicious aggregation! i like to put some peanut butter on Massimo bread, it is very delicious! easy to get in any shop! It is my family favourite bread. we love to eat the bread with Kaya/ Nutella as it is very yummy. You will feel full easily with 2 slices of bread. 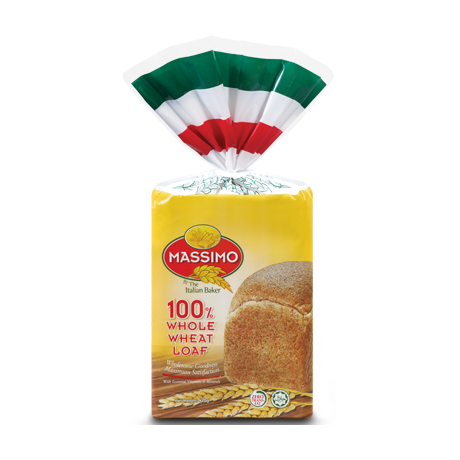 Massimo is 100% Whole Wheat Loaf only contains enzymes of microbial origin and emulsifiers of vegetable origin.It is healthy, that’s why Massimo is my daily breakfast choice ! 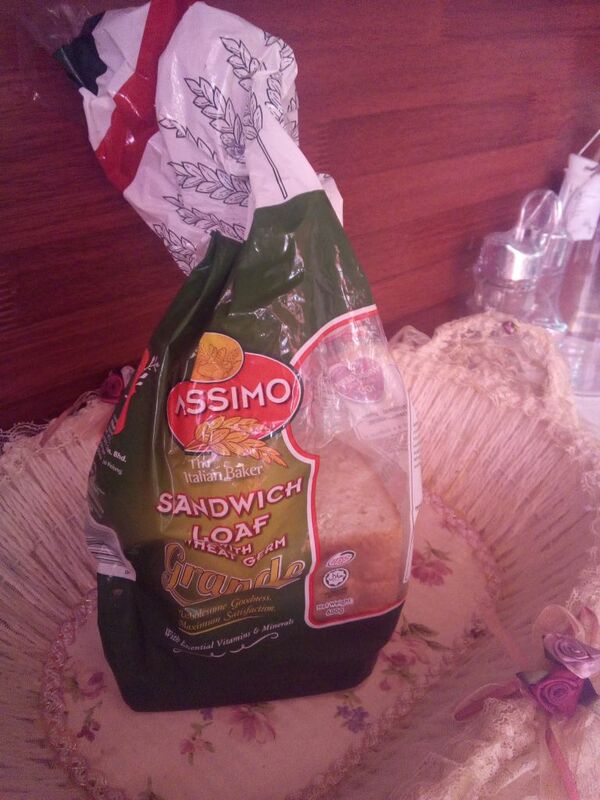 Massimo is the only choice for me to make sandwich bread. It rich of wheat and very soft. I used to put some tuna served as a sandwich and bring out as breakfast. Filling and absolutely loving it! The one bread that fills like rice. It’s versatile. I eat it for breakfast, lunch, teatime and dinner and have it in so many ways. I love the texture, the taste (not so grainy) and how it smells exceptionally good when toasted. 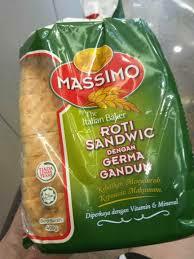 I like Mossimo than Gardenia bread because it is rich of wheat and the nutrition. I use to serve with Tuna and mayonnaise. 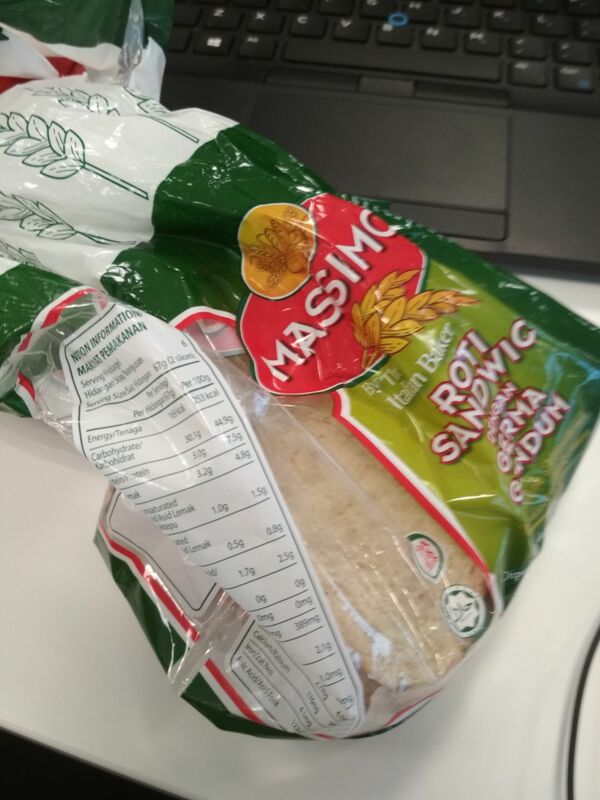 Saya selalu guna roti Massimo ni untuk buat sandwich sebab tekstur roti ni yang sangat lembut. 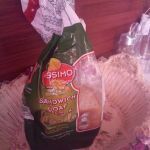 Walaupun dah buat sandwich, kelembutan dan kesegaran roti tu masih kekal walaupun setelah berjam-jam. Sangat berpuas hati. 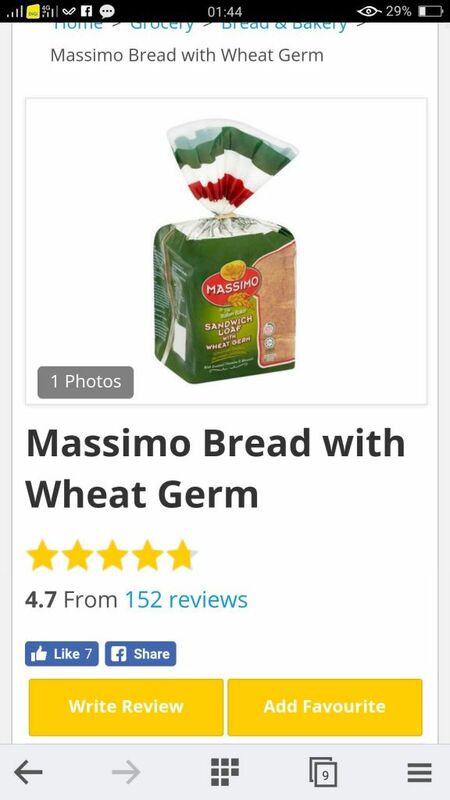 Massimo Wheat Germ Bread is among the best that is in the market. It is nice tasting and good to eat just on its own. Spread with butter or jem or even toasted, it makes a perfect healthy breakfast meal that fit for the whole family. It’s really tasty on its own and even tastier with some spread on. Think I usually start my day with a slice of this bread with a nice cup of hot milo. 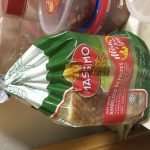 I used to buy Gardenia bread but I find massimo bread to be a little thicker and firmer which adds up to a better eating pleasure. The only frustrating part about this bread is that you gotta get it from the hyper market before 9pm else it’s gone! Sold out! Highly recommended bread for families. My family have this for everyday’s breakfast. It gives us a very healthy and fulfiling breakfast. Normally I will spread on nutella or peanut butter and it is good to serve. We always have spread kaya/ peanut butter/ nutella on this Massimo bread. It is nutritious (rich source of vitamin B6) and can makes us full as it contains of wheat. Like the bread with wheat germ. Always spread with kaya butter, make sandwich or even just eaten the bread already taste good. Rotinya sangat lembut dan gebu.Makan begitu sahaja pun dah sedap.Anak2 saya sukan roti massimo.Kaya dengan pelbagai vitamin dan khasiat penting untuk badan. Massimo Bread with Wheat Germ is very nice to eat together with the butter as it tastes very good. These bread is made with Wheat Germ which is good for the health. As we all know that wheat germ boost the immunity and gives the great benefits to the heart. Besides that it is rich with vitamins and mineral which our body needs in order to stay healthy. 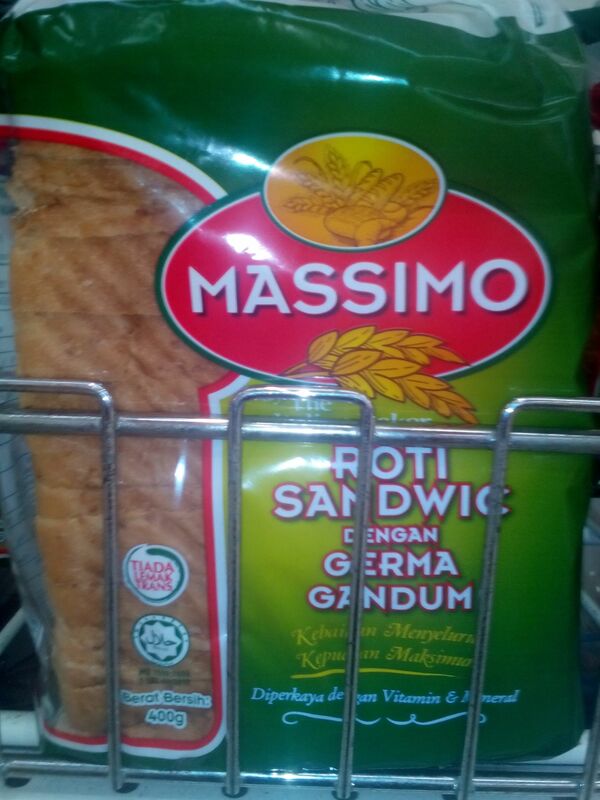 The price of the Massimo Bread with Wheat Germ is affordable as it not really expensive. It is best served with the chicken curry as it tastes so delicious and satisfied me a lot when I am hungry. I always bring along this bread during classes as I am busy with the hectic lifestyle. 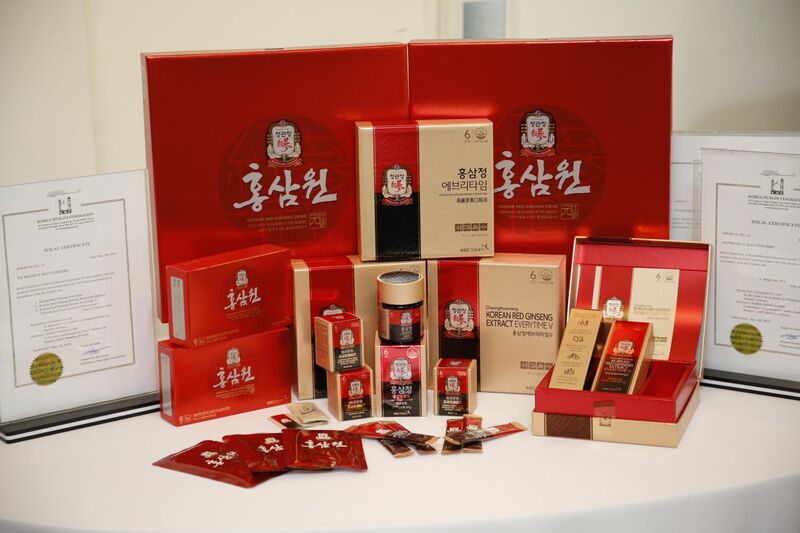 It is worth to purchase and eat together with friends and family members. I’m not much of a bread person, but if I had to choose between the wholemeal breads in the store, I’d go for this one. Thick slices which hold well and make great toasts and sandwiches. My whole family loves this loaf. 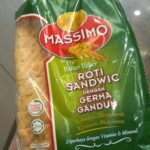 Roti massimo sangat lembut dan sedap dimakan setiap hari. Tidak memuakkan dan ia juga senang didapati di kedai-kedai berhampiran. Roti Massimo ni sangat lembut.Sering juga beri pada anak-anak.Tapi mereka kurang sukakannya mungkin kerana bahannya yang tidak manis.Roti ni sangat berkhasiat,sesuai untuk mereka yang menjaga pemakanan seimbang.sesuai juga untuk orang sakit.Kalau cecah dengan air milo mestu urmm. My preferred brand of bread. I would trust no other brand for my morning goodness and daily dose of sandwiches. The bread is fluffy and made from wheat germ. Goes well with almost anything, even dipping in soups! 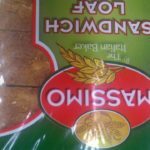 Simply the best bread that is affordable and tasty for the whole family and you will be easily feel as if your stomach has been filled up by consuming 3 pieces of this particular bread. 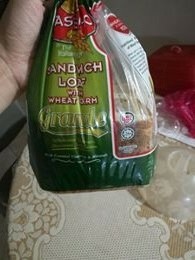 However don’t expect a wholesome taste as the other bread because this brand is lighter compare to Gardenia but still you can be filled up after you consume this bread. The bread good for health and taste good….can be eaten just like that so soft. 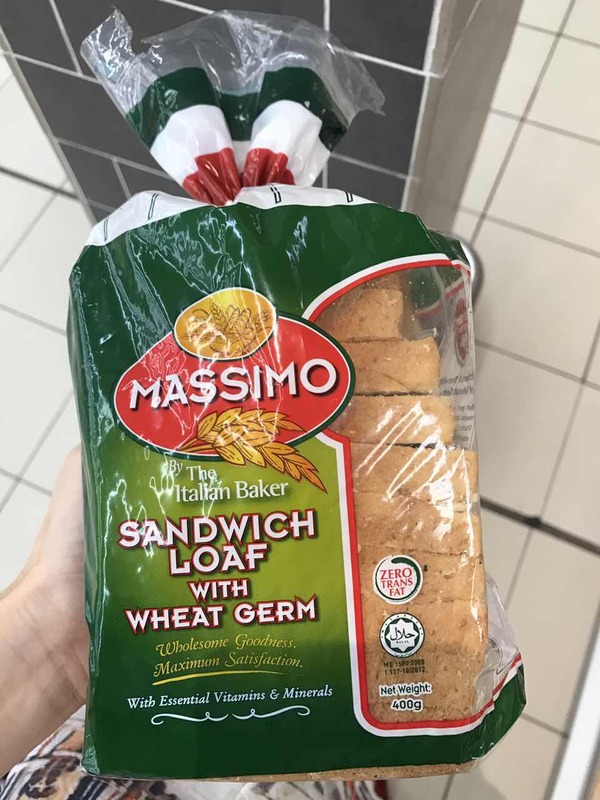 It’s been a while since Gardenia’s White Bread has fallen off the grid of my daily breakfast bread and instead I have turn to Massimo Bread White Germ, which is a healthier alternative with wheat germ as it’s core. Rich with vitamins and minerals, it is more than enough to supplement my breakfast regime and get me started on my day. Plus, it makes the perfect bread to go with any jam/condiment/sauce. The best part? Being ridiculously cheap on the market. In short, do get one immediately. 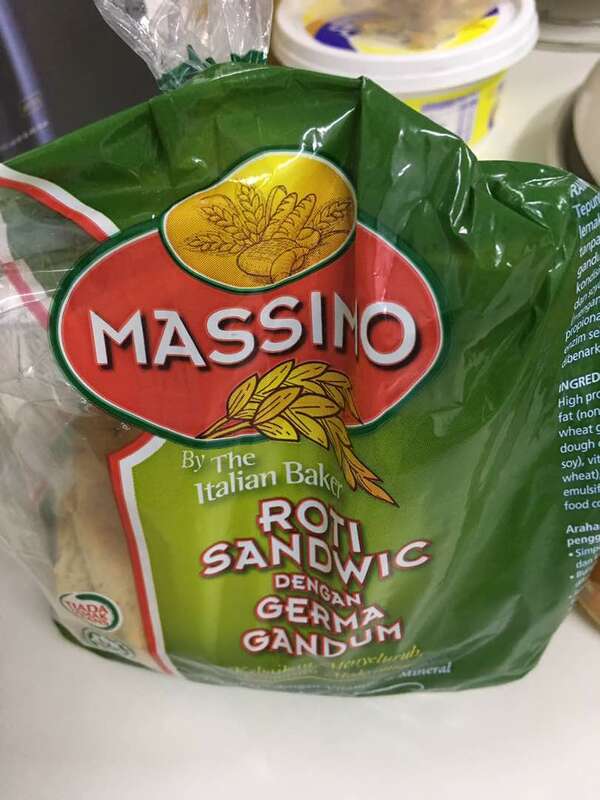 My family likes to eat this massimo bread for breakfast. It’s soft & yummy. My boy likes to eat this bread with hot dog & egg. It’s seem healthy compared others bread. this is the bread choice for the family to eat. I always bought this as my family like to eat this bread. easy to spread peanut butter or jam to eat just like that. sometimes I eat it plain by just dip a glass of coffee. Gardenia white bread used to be my favorite, but deteriorated over time. 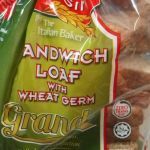 Now, I switched to Massimo Bread with White Germ because it is a more healthier option. It has a soft texture, great bite, and is a rich source of vitamin B6 and folic acid because of the addition of white germ. 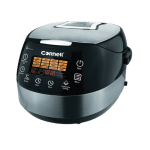 Overall, a nutritious bread that can be utilized in versatile ways. 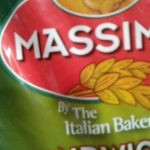 Massimo Bread is my favourite. I love the softness of the bread. Contains healthy ingredients that use in the bread. I like to eat it plain or splash Peanut Butter on it.